Heh I just recently did this for my own entertainment. This is a redo of one of my earliest HM3s. 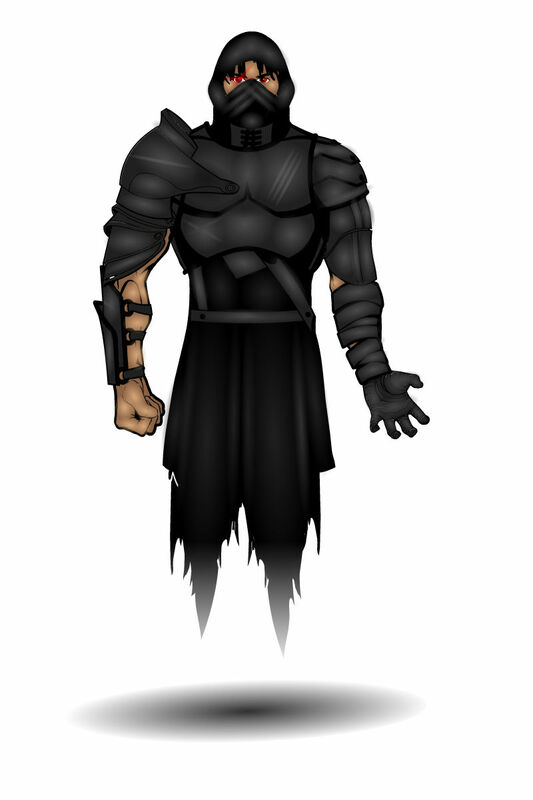 But since Rogues includes Ninjas, I thought I would enter it. 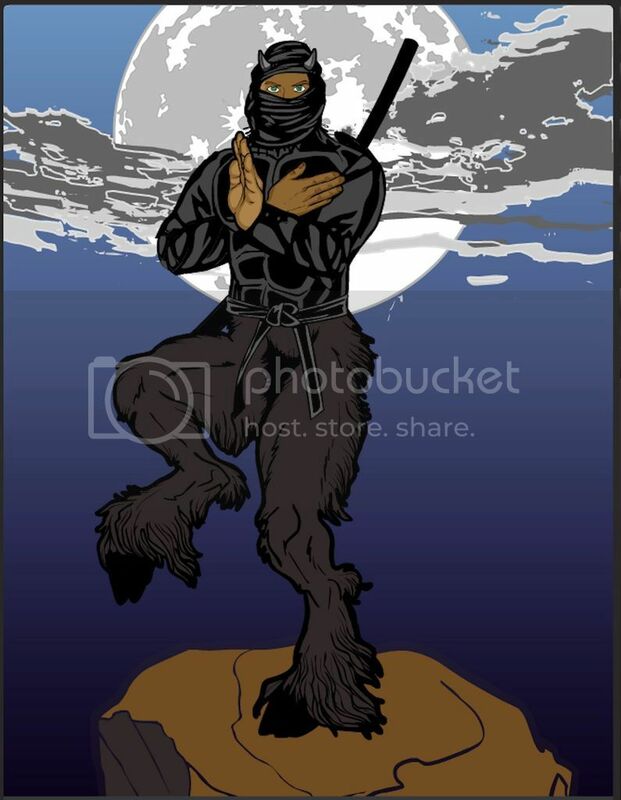 The satyr leg pose had brought to mind a marital artist, so I made one into a ninja. My friend John, thought it was one of the goofiest things he’s seen, but I countered with, if 4 pizza munching ooze mutated teenage turtles named after classical artists can be ninjas, why not a satyr? Born in the slums to Erica Nyde an alcoholic unwed prostitute, she named her son Erik Nyde. It;s been said that Erica was bit by the spiders in her two room shake, which is what gave Erik his resistance to spider venom. Erik learned at a very early age to move silently, hide, climb, jump and set traps watching the spiders in their two room shake while his mother plied her profession in the next room at night. Erik wears a gold spider necklace which was the first thing he ever stole, of a non food nature, which coupled with his sneakiness and “sticky fingers” ended up giving him his nickname “Spider” among the city residents and his victims. 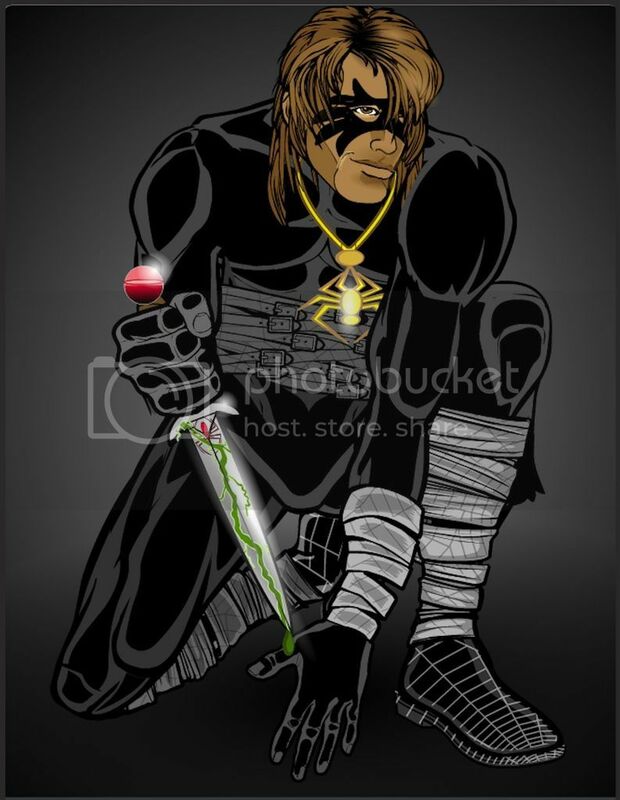 He wears a black mask resembling a spider, a black body suit and spider silk rope around his waist, wrists and legs. He has Slippers of Spider Climbing and a Dagger of Venom, the blade is etched with a spider, and the hilt is capped with a round red crystal vial which holds deadly venom which can be unscrewed and refilled. 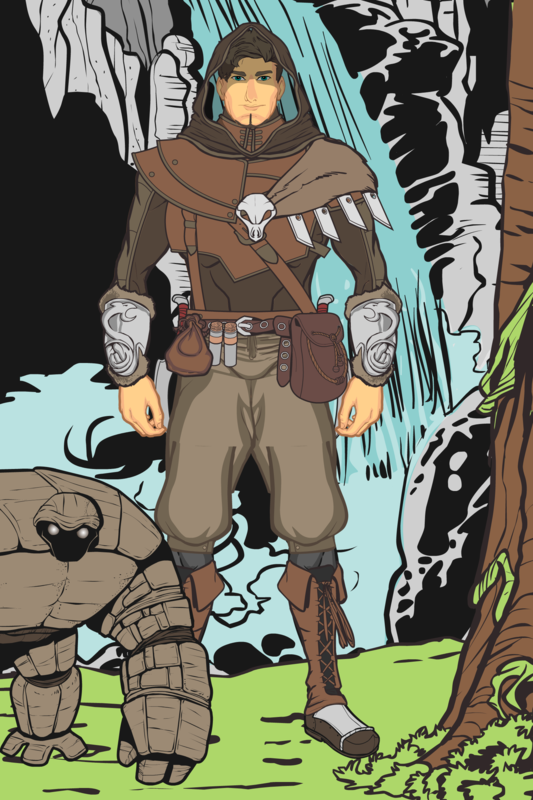 Slyfox is a Sylvan Elf theif turned vampire hunter through circumstances. His original parents were killed by a giant lynx and the child was raised by a Cooshie for several years. The village found him and named him Two Paws, since he was more canine than Elf. 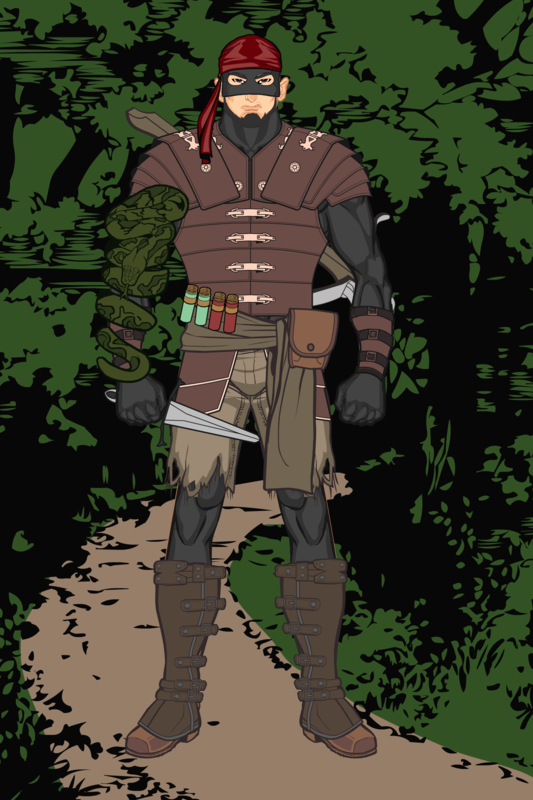 He lived and slept with the village dogs, although one night he was found in the arms of a Drow. Two Paws was banished. They used a Forget spell on him to make him forget his past, Hypnosis to make him believe his family and village was killed by a green dragon and polymorphed to look different to keep him from ever realizing who he really was and giving him the new name Swiftfox to match his red hair and quickness. Not realizing the life he now knew was a lie, he lived a happy carefree nieve existence. On the road he called himself Slyfox. Alyssa a High Elf Cleric, Jaxx a Sylvan Elf Fighter vampire slayer with lacanthrapy, Slate a Human Cavalier wearing black armor trimmed in red weilding his father’s unholy defender. 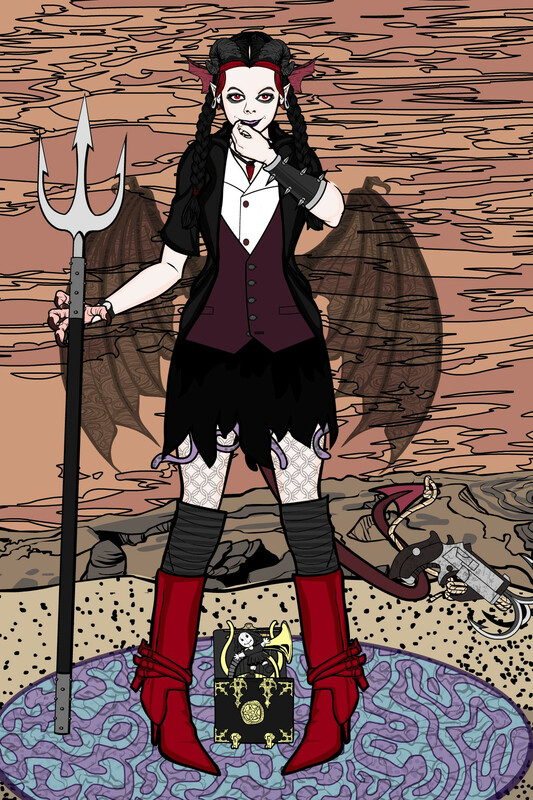 and Avi Darkstar a homo magi. Jaxx called Slyfox “Brother” and Avi called him “Puppy” due to his large expressive eyes and innocent nature and his tendency to follow Avi around like the loyal lovesick pup he was. The party ran across various undead and made it their job to eradicate them. 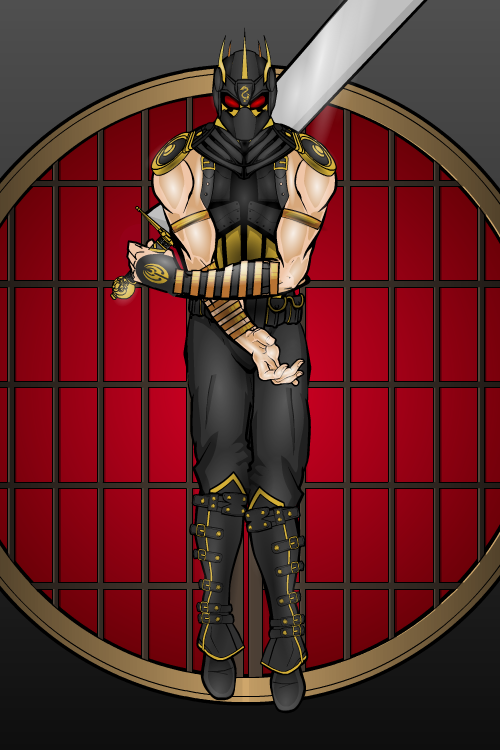 Well here are two of my most recent pics, Kemuri and Unsanmushou, ninjas from the Leauge of Shadows. I may have one more up my sleeve, we’ll see, if it’ll come out again. Right, this is maybe a bit more my speed. As usual I’m focusing on character design/ideas rather than flashy effects/poses so keep in mind they’re more that than that full on scenes/set pieces. 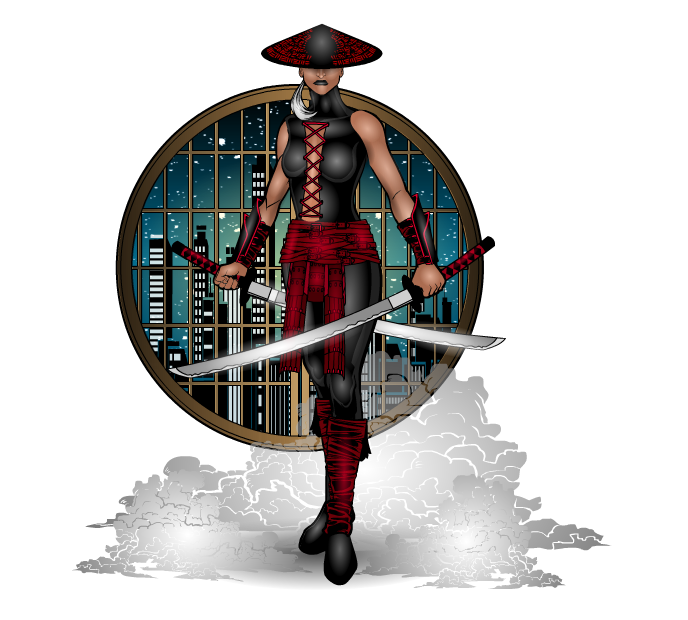 Royal guard, bounty hunter, detective, crime fighting ninja… a woman of many talents and many mysteries, who roams the streets in night in search of those in need, or those who’d harm the Amira she’s been charged to protect. Is also secretly a giant spider. 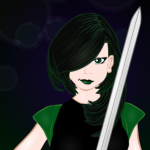 The swords she wield have a special “venom”; a shock blast that can paralyse people. 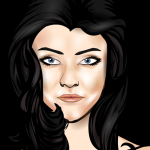 Her design is influenced by Jessica Drew/Spiderwoman – a similar colour scheme, but I gave it more earthy tones. Her outfit is based on some old Saudi Arabian traditional dress; some of which had that slightly more diagonal/asymmetrical look. 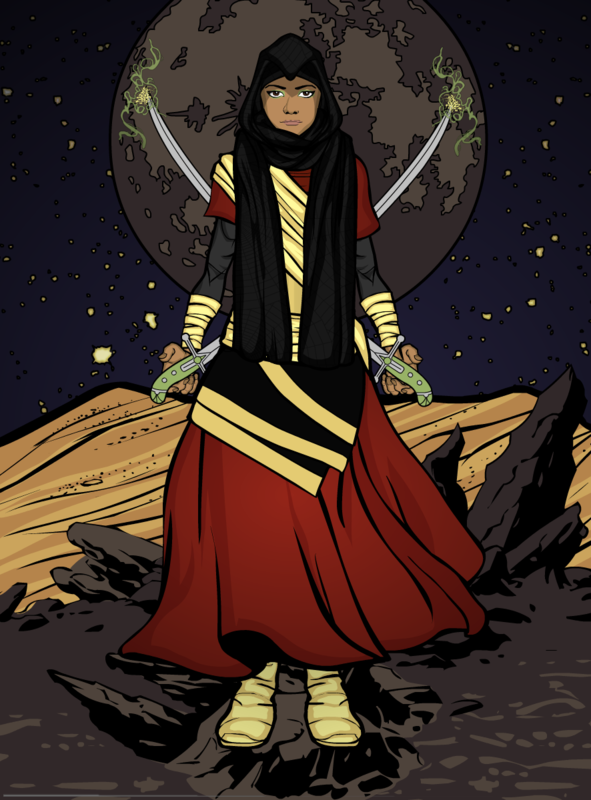 I didn’t go overboard with patterns, so it could keep a bit more of a superhero/ninja-ish look(of course when she’s being an actual ninja she’d wear darker colours) though I thought the Spider-web print headscarf/hijab was a nice touch. I haven’t seen many muslim/middle eastern characters so I thought it would nice to enter her! I did a little bit of touching up for the competition as I’d been meaning to do it for a while(her arms were exposed in the previous version and I wanted to give her full hijab, it looks better this way I think). 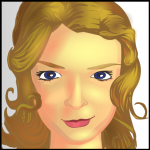 Penny is a half-succubus who was magically engineered to become a master Thief & Assassin. Not only is she a shapeshifter; but she also can teleport from almost anywhere to almost anywhere, skipping through the edges of the far realms using a mystical music box attuned to her natural abilities. She receives her instructions from a mechanical doll she carries with her, often telling her which artefact to steal next, or who to kill and can be hired for a steep price, if you can find her. 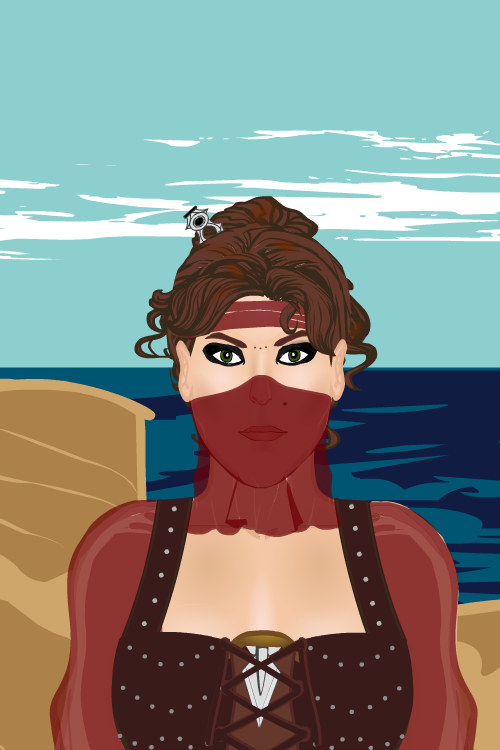 What happens when you mix a Wraith with an Assassin? This. This is a Dark Duelist. They are like assassins, with speed and stealth, but can literally become one with the shadows, merging to be unseen. They a very powerful. He comes and goes as swiftly and silently as his name, leaving corpses in his wake. and a Cloak of Moonless Night. His twin daggers have been called the Fangs Of Cerebus, for once they bite into a person they never relinquish the dead back to the living. that Death, was the orphan of a village grave digger, who went mad when his wife died, and forgot he had a son in his delirium, leaving the child to fend for himself forcing him to skulk the night gloom streets and filthy vermin ridden alleys for food.. Soon he learned to fight or starve, to kill or die. 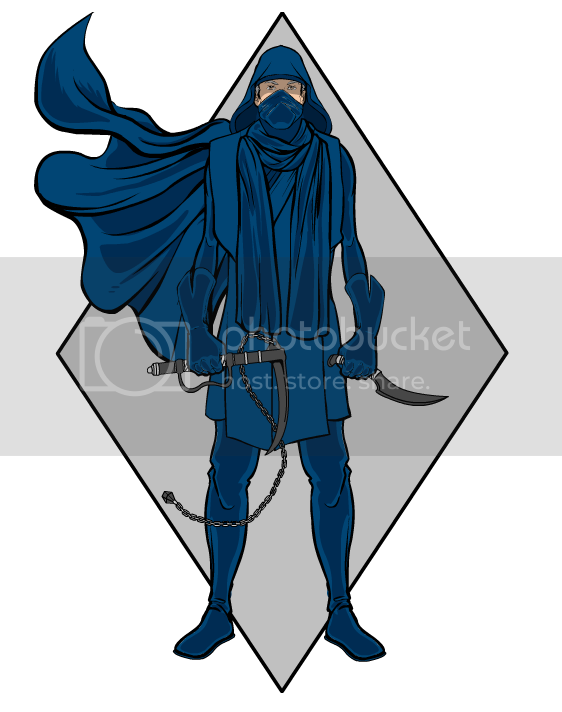 He became a master thief and with his total disregard for life, other than his own, he soon became a master assassin killing anyone for a price. Quick question. 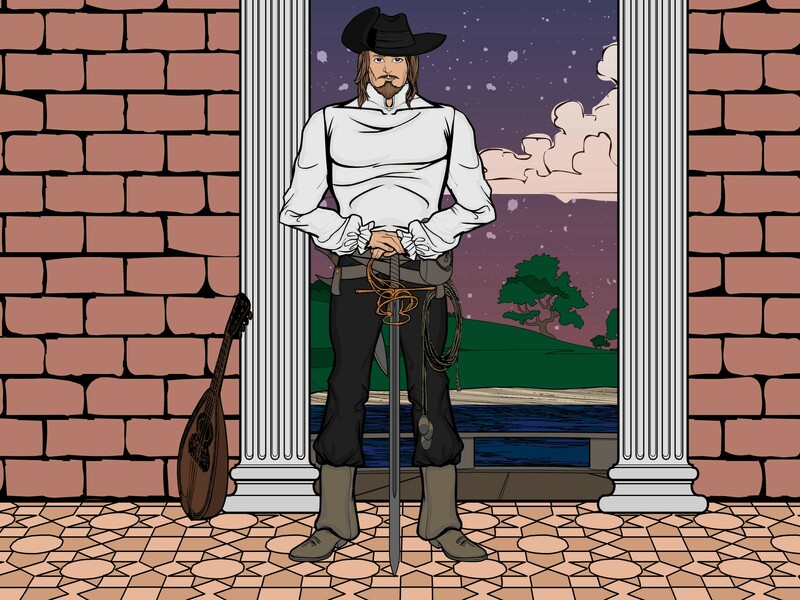 Would a bard-ish 3 musketeers kind of guy count for this one? Most of his skills helps him in the act and the act of Urban survival. He has large expressive eyes that can get him out of trouble better than his fleet feet on occasion. He only wears tattered knee trousers, and keeps ihis feet wrapped in strips of cloth. The peasants blame the Fae for bad crops and call unruly children changelings. The nobles scorn their folklore and superstition. But the castle guards know there is no shame in drawing one’s blade at long shadows, cast by flames buffeted in the night gusts funneled down the stone corridors. For, if you wait to see the torchlight gleaming off of ivory hair and opaque eyes; you have already failed to register the prick of the needle and the eldritch poison coursing through your veins has already rendered you incapable of raising the alarm. Just your run-of-the-mill master ninja. You’ll never see, hear, feel him coming until his fists knock you out and /or his knife cuts through you. Nobody knows just why the Empress gave Arthur Ballentyne an estate on the shore of Crescent Lake, or why she created the office of Imperial Dancing Master for him. Some speculate that they are lovers, others that he blackmailed the Empress. His dancing skills, while very good, aren’t good enough to warrant a title and lands. Neither are his sometimes lengthy absences from court, nor are his highly serviceable weapons in keeping with a glorified dancing instructor. In truth, the title is a cover. Arthur Ballentyne is whatever the Empress needs him to be. He has spied on members of the court and foreign powers alike, stolen documents, hunted for artifacts at the edge of the world, killed men and women, and brought back other people for justice. The loyalty Arthur bears for his Empress is boundless and simple. She is the one who puts bread on his table, she is the only one who cares if he lives or dies. He would fight the reaper for her, he would let the world burn to keep her warm. And he would do it all with a smile. As always any feedback on the art or story is appreciated. Thank you. They don’t have any background info to them tho. That’s how I ALWAYS feel. I just enter these contests for the the fun of it, not to win. Yeah I hear ya! 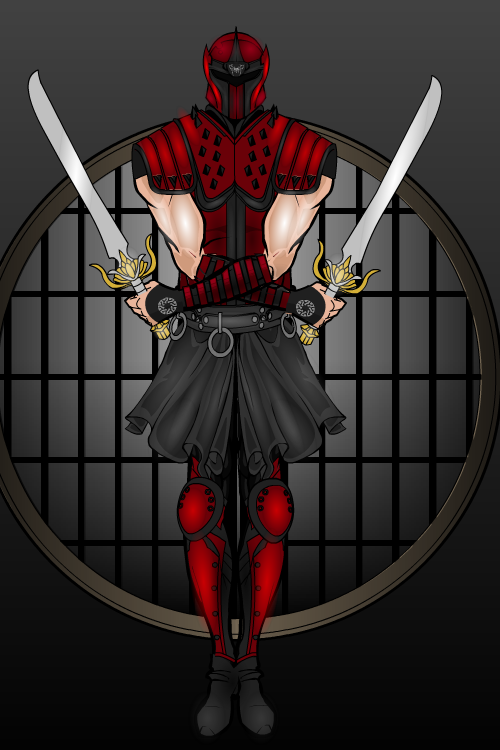 My creative neurons are firing away and brewing up a ninja that will slice and dice his way to the ranks of honorable mentions at least! 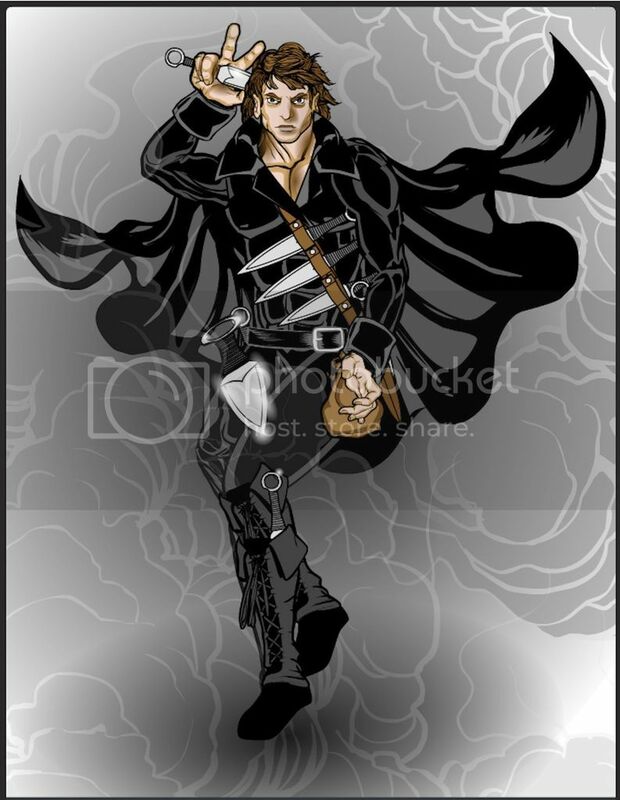 is an Elven Theif/Scout and Messenger. After many years of adventuring with the orange mohawked Giant Slayer Dwarf “Savage Sam The Dwarf I Am” Thumper ended up mated to Savage Sam and thanks to a mishap with a Girdle of Masculinity/Femininity Thumper eventually became pregnant. During their travels Thumper discovered a scroll with Remove Curse. However he didn’t want to abort his and Savage Sam’s baby, so he stashed it for later. Eventurally Thumper gave birth to their child a Dwarf/Elf, a Dwelf, they named Flint. Kemuri and Unsanmushou, ninjas from the Leauge of Shadows are both very cool and classic looking. Very nice costume and a lovely face. She definately has an ethnic look to her. Kewl for using Jessica as some of your inspiration. Kewl on the dark moon too. I like the face and those are some wicked blade. Is it just me or does the red symbol look like a styalized antelope? Kewl regardless. 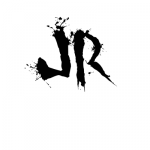 I am all over this name, I just love it! And the character is wonderful as well. I mean a theif/assassing who can shapeshift and teleport, There is no stopping her. And having an obvious Wednesday Addams influence, I mean come on what’s not to love? 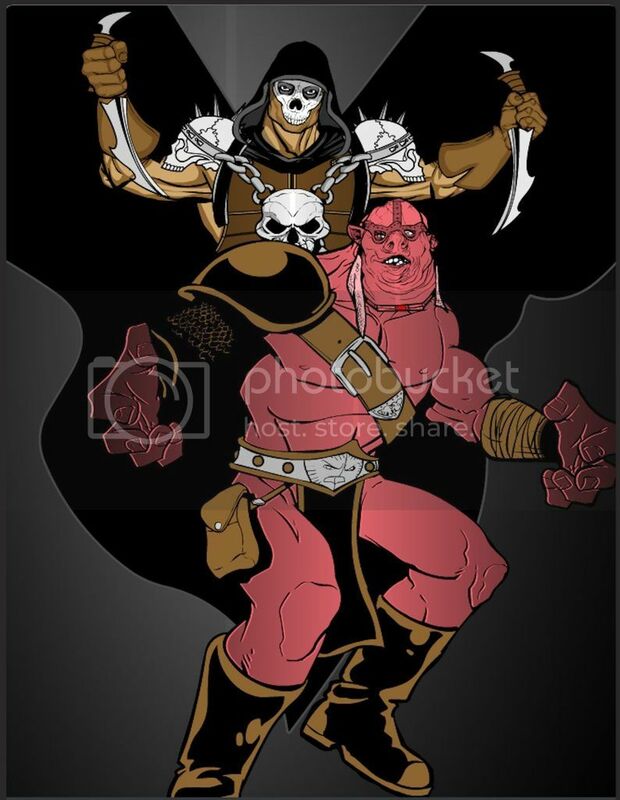 Being a AD&D 1st & 2nd Edition guy, I’m not familur wiht the class of Dark Duelist, but it sounds kewl. and very kewl fading effect, not to mention the red eyes and very slight light gray highlights on the black. I almost missed it with my eyesight, till I clicked and seen the bigger version. She looks lovely from what I can tell. But with my eyesight she’s a shade too dark. heh heh. 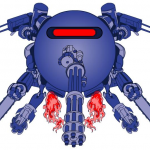 Xadrill reminds me of a mindless automaton slayer. Not someone I would enjoy meeting, I’m sure. I always love seeing your work. Talk about raising the bar! She really is exquisite. You have a good chance of making it, you pic is very good too. Go ahead and post! I admit it’s great to win, but its also just great to share your creativity concepts and execution of it. Very kewl nice and simple, but then you don’t need a lot to blend in and kill things right? So girl where is your entry? Come on! Arthur Good background, leaves ya hungry for the answers to the question of if they are lovers or not. Good work and you don’t need backgrounds, it’s just fun. My favorite is your 3rd one from his headrag to his armored boot tops. 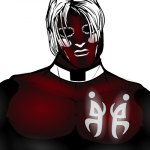 Dominus is not only great costuming and shaded but great violent effect. So a thief who is proficient with throwing blades should hold off till next weeks contest right? And I am gathering from some of the entries that we are not limited to mideval type fantasy but also cyberpunk, urban fantasy and current crime. ReL Thumper and Savage Sam! I found some game notes and journal entries from 2005 and I had mis-remembered something. Thumper had a dream that his god Rabbit told him he needed to father children .. then Savage Sam woke up saying he had a belly ache and felt pregnant. Then at some point in a dungeon Sam found a belt and put it on and changed gender. So it was Savage Sam that gave birth to Flint the Dwelf. then used the Remove Curse scroll and slapped the Girdle of Masculinity/Femininity on Thumper and told him to nurse the kid. Kind of important distinction there. @Cliff- Technically thieves are included in this weeks contest. For next week, I was thinking more archers when I said ranged weapons. 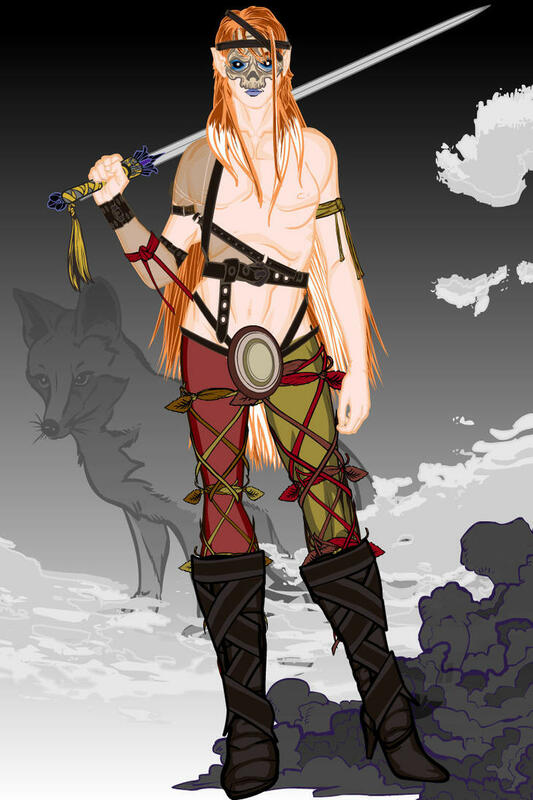 Reynard is the child of a vicious union between Fenrir and a ljósálfr queen. Disheartened that his son was cut off from the world, Loki arranged to take Fenrir’s place in captivity for 24 hours. Loki transformed into a wolf, and Fenrir into a man. However, Fenrir was still a beast on the inside, ever hungry, ever savage. 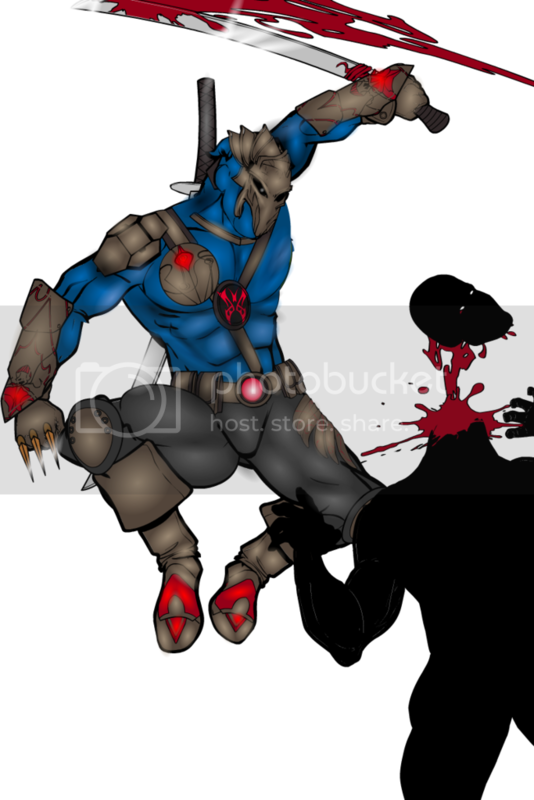 He raged in sprees of violence with the berserkers and hunted beside giants. In the final hours of his freedom, Fenrir sneaked into the land of the Light Elves as the sun was setting. Entering the chamber of the Light Elf Queen, Fenrir used the dark to his advantaged and tricked her into believing he was the elven king. At midnight, the queen awoke to the howl of a wolf; the man beside her had vanished, and the deceit was discovered. Reynard is the child of this union, and his dual nature was apparent from birth. The queen knew she could not keep him and fostered him off to mortal parents. Reynard, named because of his peculiar, foxlike appearance, grew up in the cities and townships of Midgard. Keen on arts, music, and poetry, Reynard was equally defined by a vein of cruelty that would occasionally bubble up into spurts of ultra-violence. His skills in learning and the arts led him to become a courtier, teaching, entertaining, and advising member of the upper-class. This was only cover up for a more sinister role, that as royal assassin. Sporting a mask made from the skull of his first kill, Reynard is a fearsome enemy, who will sneak up like a ghost, and with a deceptively elegant swish of the blade, cuts down his patron’s enemies. But is the occasional hit enough to quell the anger in his blood? If the king lost his power over Reynard, or worse, if Reynard lost control of himself, who knows what disasters would ensue. Alexander was a loving but stern father. Grigori was Davy’s childhood friend who lived next to the Watering Hole, which is how they met. City guard cracked down on the gangs, particularly the Night Wolves. The Watering Hole pub set on fire by flaming arrow and was a total loss due to amount of flammable alcohol on the premises. Grigori was one of the one’s killed in the blaze. Alexander thought it best that is was thought that it was Davy that had been killed and he was hidden away. letting his anger and desire for revenge to cloud his better judgement. and their house burned to ashes. 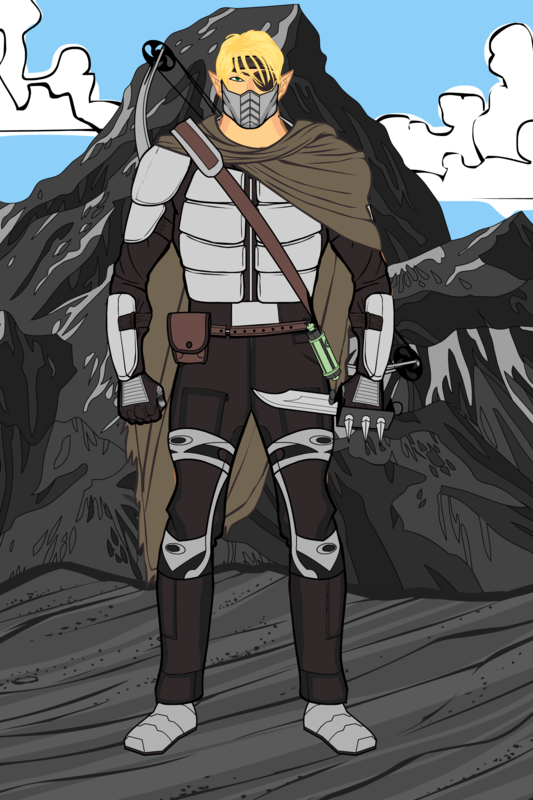 Davy came out of hiding and pretended to be a young angry theif named Darteleon or Dart to join the Lupus Nocte gang. His skills earned him a quick membership. Dart worked within the Lupus Nocte for many months. Dart set up the Lupus Nocte members leaking plans to the First Sons when he could. he and 2 of the First Sons were killed. 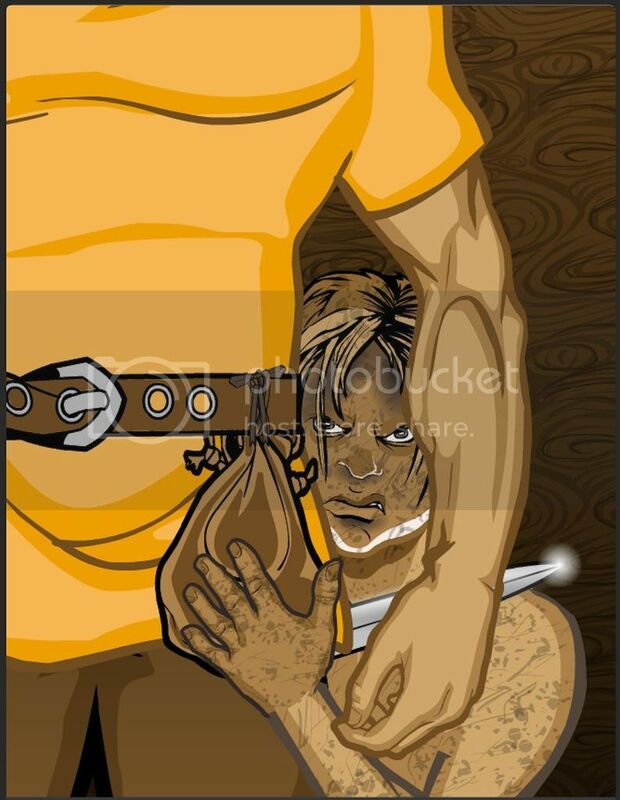 Dart eventually took revenge on the Vic Vicious entering his room as the man ate, pretending to have an important message and throwing three well places blades, one in Vic Vicious head/eye?, one in his throat, and one in his heart . apprehend the rest of the Lupus Nocte gang, although some escaped. but he refused it deciding to haunt the streets and alleys for scrambling vermin his own way and distribute his own brand of vengeance. Thanks so much for the kind words Cliff. I’ll check out your entries when I get the chance. 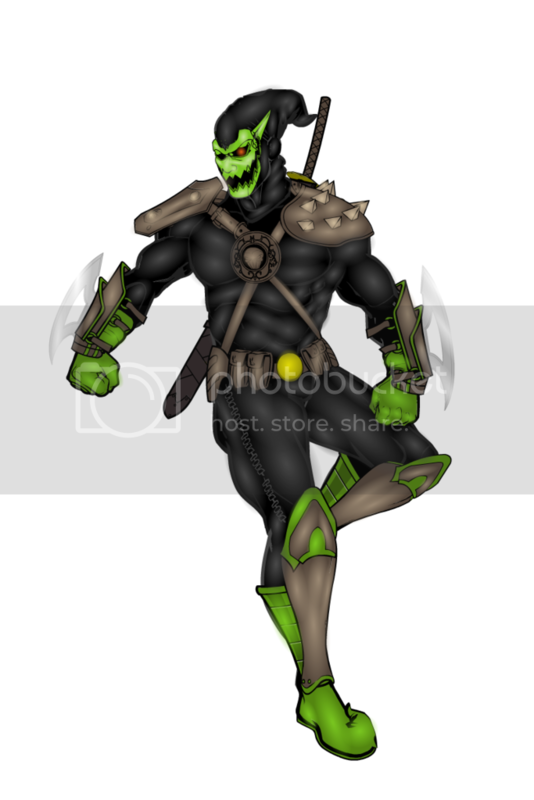 I like Spider and the Satyr Ninja is a cool idea that worked out looking good. “Death” looks like it would make for a really good D&D miniature. 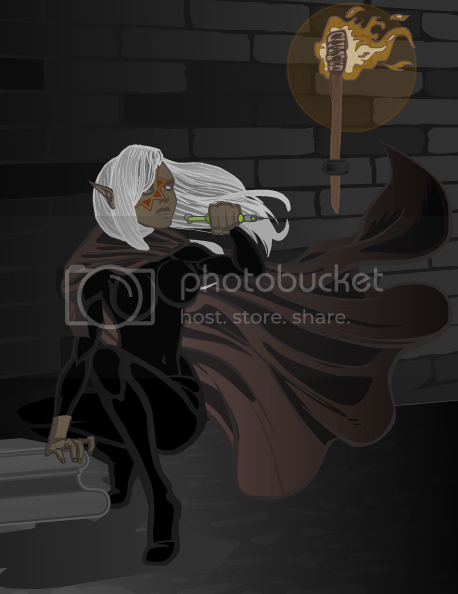 Metal is a bard and an Elven princess named Metal Wobnair du Quamon of the cresent Elven continant of Ehlspire. 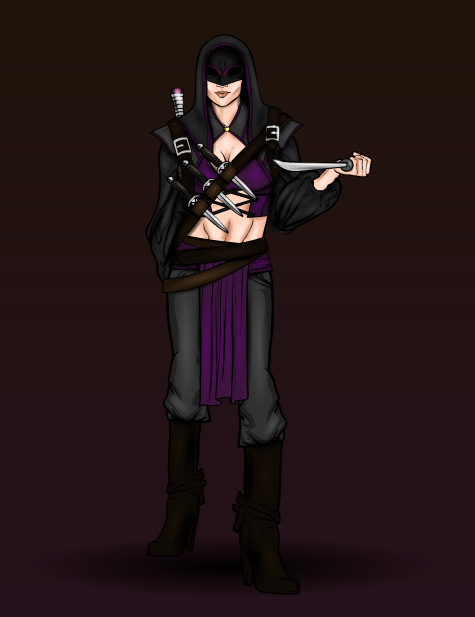 During her years of adventuring becoming a bard, she first went through Theif training, then Fighter (which is backwards from most) and finally actual Druidic Bard training. 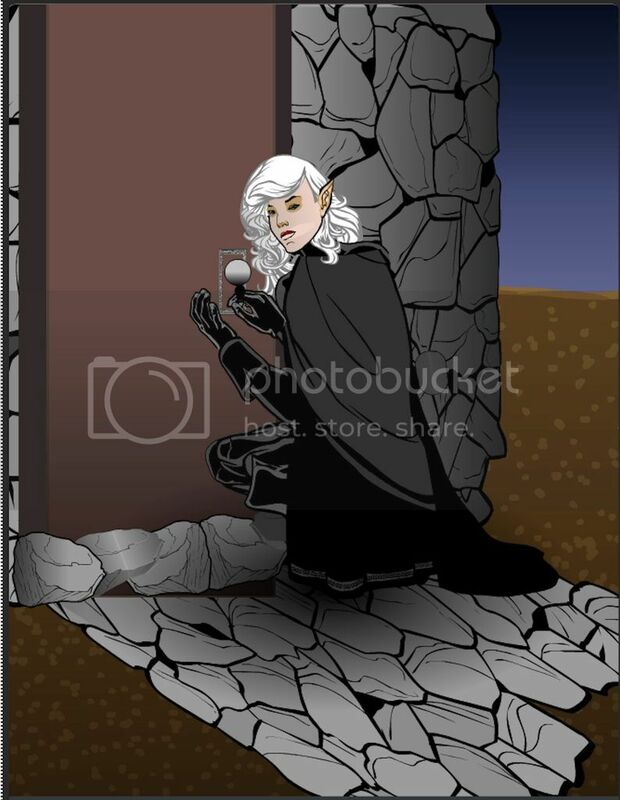 But here she is during her beginning theif training, breaking into a rich merchants who’s been cheating people. Promethekles in an ancient Greek theif, actually a burgeler. Even as a child Promethekles excelled in climbing, running, jumping and tumbling with his friends. Promethekles skills eventually included Hear Noise, Hide In Shadows and Move Silently as he regularly snuck out at night to get into mischeif with his friends. Even as a youth he was invited to his father’s drinking symposiums with other men of importance, so Kleitos could show him off. From these get togethers Promethekles learned and honed his skills of Ettiquette, Local History, Connesuir, and Appraisel. Left to his own devices after his classes he has an extensive Area Knowledge of the city. It was at a symposium that he saw a particular dancing boy, which he became interested in. As he wanted to met the boy, Kleitos bought the slave boy for Promethekles much to his mixed horror and joy. That night the dancing boy Krimon became Promethekles personal attendant. Promethekles was nice to the beautiful boy showering him with expensive clothes and gifts. They boy had been taught well to serve his masters, once again making Promethekles feel guilty and yet happy. It wasn’t long before Promethekles treated Krimon as a lover and not a mere slave to take care of his every whim. Once Kleitos discovered his son was behaving as an equal to the dancer slave, Kleitos sold Krimon to a friend from the symposiums. Promethekles was heartbroken as well as furious with his father. Promethekles took his father to court saying the boy had been given to him then stolen away. However the jury quickly sided with Kleitos the father saying it was his right to save his son from himself keeping him from lowering his himself and his station with a slave. Promethekles started to take things from his father to sell to make money to buy back Krimon at twice his price, with plans to free him and run away together. He also started to break into Kleitos friend’s homes during busy hosted symposiums, to steal from them, knowing their residences well from various previuossymposiums they hosted and had invited young Promethekles. Prometekles not only did well, but he did very well. It was Krimon who first suggested Promethekles give money to a starving lame begger on the street. 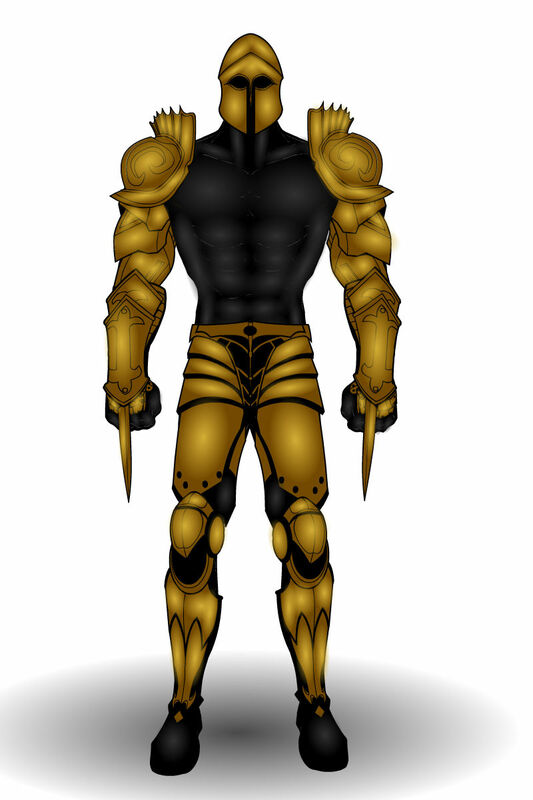 Soon, although it took longer to gain Krimon’s slave price, Promethekles, with Kriimon’s encouragement, began to give some of his money to the poor and starving who were worse off than many slaves of the weathy. Promethekles eventually did buy Krimon back and freed him, giving him a small fortune of his own. 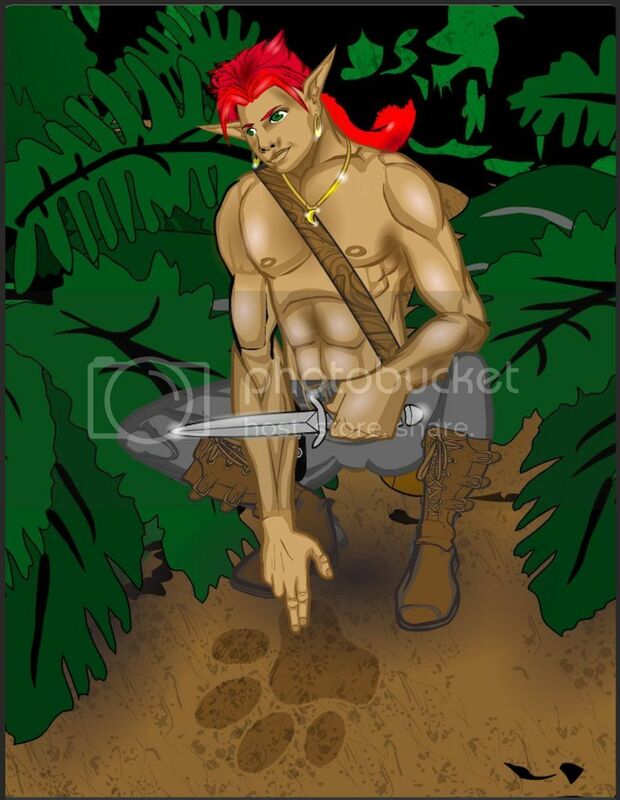 Promethekles is tall, with dark brown hair, and dark brown eyes, he has a handsome face and very toned body. 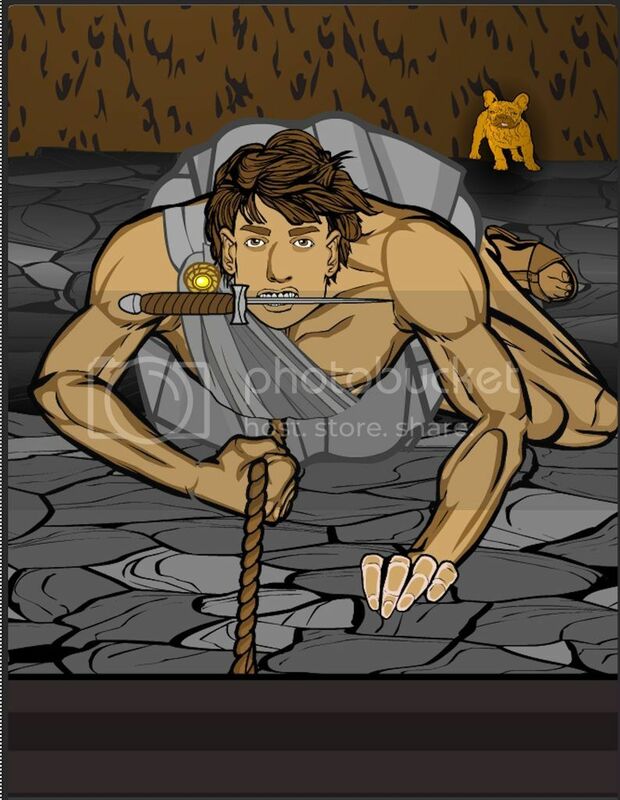 He wears a toga, girdle, sandles and several bags of tools and empty bags for loot. They did set up residence together, but Promethekles kept burgeling the rich and giving to the poor.